Gary Pruitt is the President and CEO of the Associated Press and was the former CEO, president, and chairman of the board of the McClatchy Company. A native of Florida, Pruitt holds a bachelor’s degree from the University of Florida and received both a master’s degree in Public Policy and a law degree from the University of California, Berkeley. Long active in professional, business, and civic groups in the Central Valley and throughout the state, he serves on the boards of the Newspaper Association of America and Mutual Insurance Company. 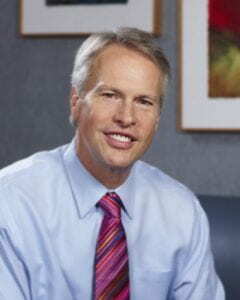 He previously was on the Board of Directors of the Crocker Art Museum; Board of Visitors of the Columbia University School of Journalism; Board of Advisors of the University of California, Berkeley, Goldman School of Public Policy; the California Business Roundtable; and various committees for the California Newspaper Publishers Association.